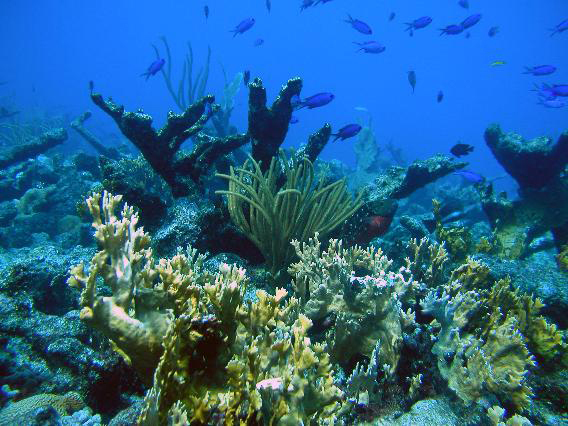 Photo of a coral reef from NOAA Photo Library. 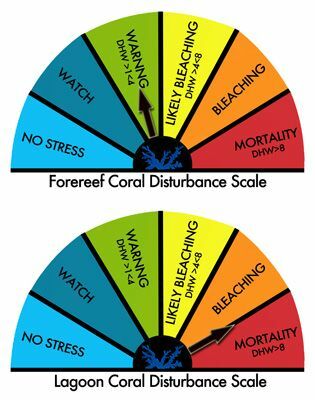 I will be the first to admit that I am fairly new to the vast arena of coral reef science, policy, and management. Growing up in Hawai‘i I’ve certainly enjoyed coral reefs, snorkeled and paddled over them, fished from them, and know about their importance to both our ecosystems and economy. But, I’ve never truly explored them or taken the time to get a really good look. 1) Make the time to go snorkeling more often to enjoy coral reef up-close and personal. 2) Visit an aquarium to explore and interact with their coral reef exhibits. 3) Explore a coral reef from my desk during my lunch break. Confused by #3? Let me clarify. In my quest for the latest information on coral reefs (and thanks in large-part to the wonders of the Internet), I’ve discovered that it is absolutely possible to explore a coral reef from my desk (or living room couch, hotel room in DC, or sitting in my car in the parking lot). Screenshot while exploring Molokini’s coral reefs on Google Street View. 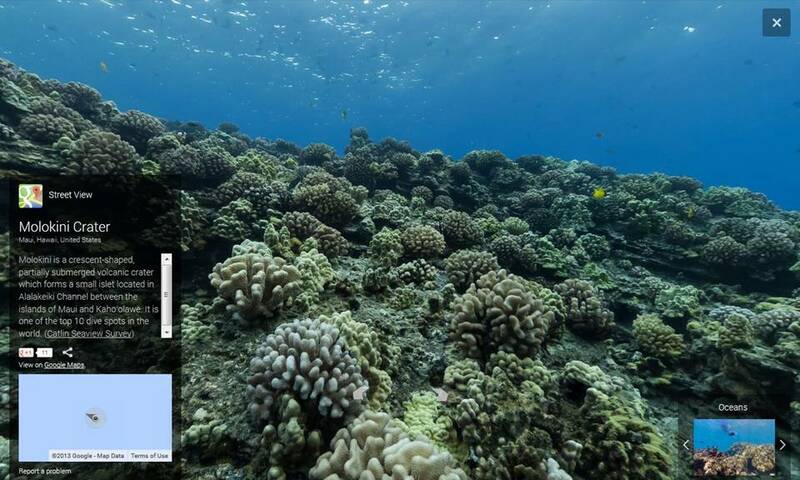 First, check out Google’s Street View—in the ocean! Ever wanted to snorkel the Great Barrier Reef or Molokini here in Hawai‘i? To me, this is about the next best thing to actually being there! You can “swim” around and explore different areas, like Heron Island, and even take a breather on the beach. Second, run a search for images on coral reefs or coral reef ecosystems. There are many places where you can check out great photos of coral and coral reefs (aka reefscapes). Here are a few that I’ve stumbled across: GuamReefLife, National Geographic, and NOAA Photo Library. Better yet, many of them provide information about what you’re looking at. It’s pretty amazing what I’ve noticed and learned, and how much my appreciation and awe for coral reefs have grown. And, all from spending a few lunch breaks exploring a coral reef!